What is Your Color and What Does it Say About You? Did you know that colors play a role in your health and personality? 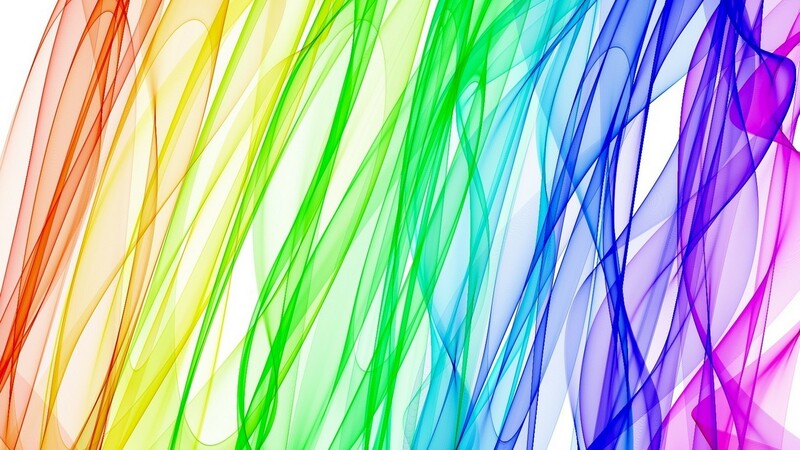 Your favorite color can tell psychologists a lot about you. For instance, RED represents health, fire, heat, blood, passion, will power, survival, anger, temper, danger, destructions. Red stimulates, excites and acts as an irritant. It gives a person a sense of power. We use red to energize and encourage movement, instant response, passion. For example – red traffic lights, the Red Cross, etc. People who love the color red live life to the fullest and are tenacious and determined in their endeavors. ORANGE is a happy, joyful, creative and warm color, combining physical energy with mental qualities. It is the color of creativeness and adaptability. It induces a general sense of well-being and cheerfulness. Orange symbolizes warmth and prosperity and relates to self-respect. An orange wall in a dining room promotes family union. An orange sunset promotes relaxation. People who love the color orange are forever the optimist. They fully expect something wonderful is about to happen. They have perfected being present, living in the moment and focusing on what and who is in front of them. They are social animals/social butterflies and mediators. YELLOW is the color of intellect and perception. In the old days, it was the color that symbolized life and joy. Yellow relates to self-worth and to how we feel about ourselves. It is the color of the personality and ego. It is psychologically good for despondent and melancholic conditions. It is the color for clear thinking, detachment, brightness, confidence, charm. For instance, businessmen often wear yellow ties for self-confidence. People who love yellow enjoy learning and sharing their knowledge with others. Finding happiness comes easy to them and others would compare them to the sunshine. GREEN is the color of love, progress, youth, inexperience, fertility, hope, balance and new life. It is also the color of jealousy, envy, and superstition as it is the color of feelings. It is also a calming and quieting color. Worn by surgeons to calm the patient green builds up the immune system. It also fights stress: e.g. a walk through a green field promotes relaxation. People who love the color green are often affectionate, loyal and frank. Green lovers are also aware of what others think of them and consider their reputation very important. BLUE is psychologically more soothing than green in emotional conditions. It is the color for meditation and spiritual expansion, as it relaxes the mind. Blue is the color of truth, devotion, calmness, and sincerity. It is the color of higher mental qualities. Blue relates to self-expression. It is the color of peace, comfort, and reliability. Blue hospital signs support tranquility, patience, and health, while blue uniforms inspire security and reliability. People who love the color blue love harmony, are reliable, sensitive and always make an effort to think of others. They like to keep things clean and tidy and feel that stability is the most important aspect of life. INDIGO is psychologically a good color for discipline structure, faith, and efficiency. It is also considered to help clear away addictive emotions. Indigo brings up fears, encourages and inspires self-responsibility. Service to humanity is one of the strengths of the color indigo. Powerful and dignified, indigo conveys integrity and deep sincerity. It symbolizes structure, focus, and duty: e.g. dark blue indigo business suits, school uniforms, etc. People who love the color indigo are honest, compassionate and understanding. Integrity is extremely important to them. They need structure in their life – organization is important to them and they are quite inflexible when it comes to ordering their life. They love rituals and traditions. They look to the past when planning for the future. They are conscientious and reliable – a good person to have around in a crisis. They may have a great need to acquire qualifications. Being a personality color indigo indicates you are hungry for the meaning of life. VIOLET is psychologically related to self-knowledge and spiritual awareness. It is considered a healing color it encourages between ego and spirit. It is a powerful color and color therapy with violet is not recommended for children. It represents the future, the imagination, and dreams, while spiritually calming the emotions. Violet inspires and enhances psychic ability and spiritual enlightenment, while, at the same time, keeping us grounded. It’s a relaxing, spiritual color used in churches, funerals (to feel closer to God for comfort and understanding) therapeutic rooms, old people’s homes; it takes people’s minds off daily worries. People who love violet are artistic and unique. They have a great respect for people but at times are arrogant. They are sensitive and compassionate, understanding and supportive, thinking of others before themselves. They are a gentle and free spirit. Your feelings run deep and you are quite sensitive to hurtful comments from others, although you would never show it. So what’s your favorite color? And what does that say about you? Previous PostGet Sprung – 4 Real Benefits to GardeningNext PostThe Best Summer Fruits and Vegetables!